The money you make is one thing but the money you get to keep is another. To save you from overpaying, tax planning must be done proactively throughout the year, not after the year is over (reactively). 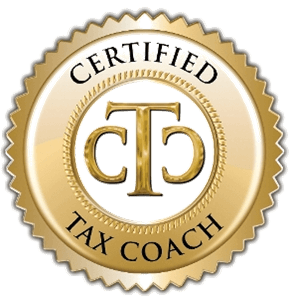 Certified Tax Coaches focus on year-round strategic planning methods so you are in the best position to save money at tax time. The U.S. tax code is 67,204 pages long, over 1,638 forms and changes each year. Because of this complexity, the United States Government Accountability Office (GAO) says taxpayers overpay $1 billion per year to due missed tax reduction opportunities. When you turn to Gheen & Co., CPA, LLC for tax planning services we'll create a plan that considers every possible deduction, break, and incentive to make sure you pay the lowest amount of tax possible. With our help and guidance, you'll maximize your personal wealth and see higher revenues for your business. Our role as proactive tax advisors is to implement a strategy that maintains compliance with current tax code regulations while ensuring you pay the lowest amount of tax allowed by state and federal laws. Call us today at 719-785-4864 to schedule your free consultation. As a thank you for scheduling your consultation, we'll provide a free book, The Great Tax Escape.